The LG X Style was launched in June 2016 by South Korean phone maker LG, who equally unveiled the X View and LG X Power as the latest addition to the LG X Series. The X Style, just like the name implies, is a stylish piece of gadget that comes with a modest array of specifications. The smartphone has a 5-inch touchscreen display with a resolution power of 720 x 1280 pixels at a PPI of 294 pixels-per-inch. The touchscreen is protected by the Corning Gorilla Glass protection. 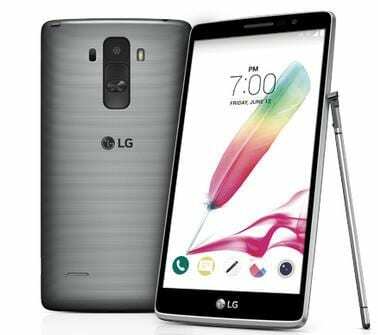 The LG X Style is powered by a Quad-core Snapdragon 410 processor from chip-maker Qualcomm. It comes with a rather small 1.5GB RAM as well as 16GB internal storage that thankfully is expandable up to an extra 128GB with a microSD. As far as the cameras are concerned, the X Style packs a not-so-bad 8-megapixel primary camera on the rear with an LED flash attached and a 5-megapixel front shooter for selfies. The LG X Style runs Android 6.0.1 Marshmallow out-of-the-box and is fired up by a rather small 2100mAh non-removable Li-Ion battery. It implies that you cannot switch off the phone by removing the battery when the phone freezes. Also, you cannot on your own replace the battery or use a spare battery when battery performance is degraded. Other features available in the Android device include; Wi-Fi connectivity, GPS, Bluetooth, 4G. While the sensors on the phone include Proximity sensor, Ambient light sensor, Accelerometer, and Gyroscope. The LG X Style is expected to have a retail price of Rs. 12999 in India (Approximately $288.87). When available in Nigeria, the device is expected to sell at a price between N56,000 and N60,000, even higher after tax and shipping costs.